With all the interest in the new Outlander TV series (which, I must say, is quite wonderful and seems to be following the books closely), and my travel to Scotland in September, I thought it timely that I share my reviews of the books...well, at least as far as I have read (through book 5). See my review HERE. Win a copy of The Red Wolf's Prize! The Goodreads Giveaway is on! Enter to win the paperback to be released Oct. 1st! Best Historical Romances set in Exotic Locales--the list is up! OK, so it’s August and you’re home and you’re bored. Maybe the kids are in summer camp or going back to school. You want an adventure, an around the world trip, or perhaps an ocean voyage—without leaving your living room. And you want a good love story. But you’re tired of those set mostly in England, Scotland, Ireland and America? Well, I have just the list for you! My mother taught me to read when I was four and told me I could travel the world through books. She was right. And were she still alive, she would love this list I’ve created for you daydreamers out there who long to travel…historical romances by some great authors set in exotic locales. Though some might begin (or end) in England or America, they will quickly take you to another time and another place! And all have been rated 4, 4 and ½ or 5 stars by me. Interview & Giveaway with Historical Romance Icon Shirlee Busbee! Shirlee Busbee must have done something right. There are over 9 million copies of her books in print and now she's bringing them to eBooks. Shirlee is on my blog today answering all my questions and giving away the 3 new eBooks pictured above. Read the interview with this romance icon and comment to win one of her new eBooks HERE! The Red Wolf available for preorder on Amazon! Parris Afton Bonds on Exotic Locale Romances! Historical Romance author of 38 novels, Parris Afton Bonds joins me today to talk about setting a romance in an exotic locale. Join us and comment for a chance to win a copy of her exciting romance, BLUE MOON, set in Pancho Villa's Mexico! Cover & Trailer for The Red Wolf's Prize! 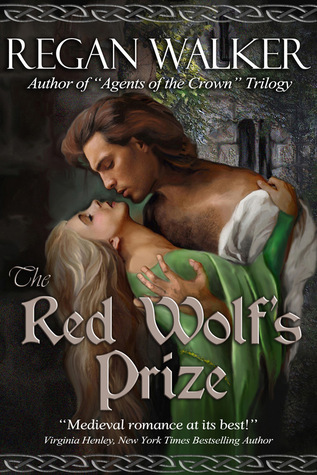 The cover for THE RED WOLF'S PRIZE, my medieval to be released October 1st is here! You can see the video trailer on my website, HERE. The book is up on Goodreads HERE. Beginning August 27, you can enter to win one of 5 autographed copies, along with the beautiful new bookmark that goes with it. So add it to your "want to read" pile now!